Rev. Daniel Berrigan, the renowned antiwar activist, poet, author and Jesuit priest, who inspired opposition to the Vietnam War and nuclear weapons, has died. Daniel Berrigan was born on May 9, 1921 in Virginia, Minnesota, the fifth of six boys to Thomas and Frieda Berrigan. His family subsequently moved to Syracuse, New York, where the boys grew up attending Catholic grade schools. After high school, Berrigan applied to the Society of Jesus, the Catholic religious order known as “The Jesuits.” He entered the Jesuit novitiate at St. Andrew-on-the-Hudson, near Poughkeepsie, New York in August 1939. With his classmates, he made the Spiritual Exercises of St. Ignatius, a 30-day silent retreat; spent two years studying philosophy; went on to teach at St. Peter’s Prep in Jersey City, New Jersey (from 1946-1949); and eventually, to study at Weston School of Theology in Cambridge, Massachusetts (from 1949-1953). Berrigan was ordained a priest on June 21, 1952 in Boston. In 1953, he traveled to France for the traditional Jesuit sabbatical year known as “tertianship.” There, his worldview expanded as he met the French “worker priests.” He returned to teach at Brooklyn Prep until 1957, when he moved on to LeMoyne College in Syracuse, New York, where he taught New Testament until 1962. 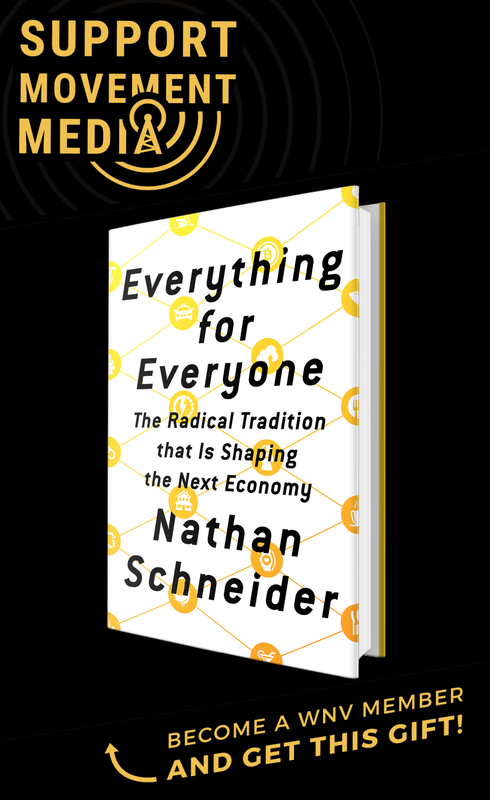 There he founded “International House,” an intentional community of activist students who seek to live solidarity with the third world poor, a project that continues today. In 1957, Berrigan published his first book of poetry, “Time Without Number.” The book won the Lamont Poetry Award and was nominated for the National Book Award. His poem “Credentials,” had first caught the attention of poet Marianne Moore who recommended his poetry to publishers and became a friend. Denied permission to accompany his younger brother Philip, a Josephite priest, on a Freedom Ride through the South, Berrigan went to Paris on sabbatical in 1963, and then on to Czechoslovakia, Hungary and South Africa. On his return, he began to speak out against U.S. military involvement in Vietnam and co-founded the Catholic Peace Fellowship. In 1964, along with his brother Philip, A.J. Muste, Jim Forest and other peacemakers, he attended a retreat hosted by Thomas Merton at the Abbey of Gethsemani. That retreat marked a turning point for Merton and the Berrigans as they committed themselves to write and speak out against war and nuclear weapons, and advocate Christian peacemaking. In 1965, he marched in Selma, became assistant editor of “Jesuit Missions,” and co-founded Clergy and Laity Concerned about Vietnam with Rabbi Abraham Heschel. He began a grueling weekly speaking schedule across the country that continued until about 10 years ago. In November 1965, a young Catholic Worker named Roger LaPorte immolated himself in front of the United Nations. After speaking at a private liturgy for LaPorte, Berrigan was ordered to leave the country immediately by his Jesuit superiors. Berrigan began a six-month journey throughout Latin America. His expulsion cause a national stir throughout the media, and Berrigan returned to New York and in 1967, became the first Catholic chaplain at Cornell University. His book, “Consequences: Truth and…” chronicled his journeys to Selma, South Africa and Latin America. On October 22, 1967, Berrigan was arrested for the first time with hundreds of students protesting the war at the Pentagon. “For the first time,” he wrote in his journal in the D.C. Jail, “I put on the prison blue jeans and denim shirt; a clerical attire I highly recommend for a new church.” In February 1968, he traveled to North Vietnam with Howard Zinn to receive three U.S. Air Force personnel who were being released. While they awaited their meeting with the Viet Cong, they took cover in a Hanoi shelter as U.S. bombs fell around him. His diary of his trip to North Vietnam, “Night Flight to Hanoi,” was published later that year. The Catonsville Nine watch draft files burn as they wait to be arrested. On May 17th, 1968, along with his brother Philip and seven others, Berrigan burned 378 A-1 draft files in Catonsville, Maryland, in a protest against the Vietnam War. “Our apologies, good friends,” Dan wrote in the Catonsville Nine statement, “for the fracture of good order, the burning of paper instead of children, the angering of the orderlies in the front parlor of the charnel house. We could not, so help us God, do otherwise.” Their action attracted massive national and international press, and led to hundreds of similar demonstrations. After an explosive three-day trial in October, he was found guilty of destruction of property. The Catonsville Nine protest was followed extensively around the world, in large part because of the shock of two Catholic priests facing prison for a peace protest. Back at Cornell, Berrigan wrote the best-selling play, “The Trial of the Catonsville Nine,” which later opened in New York and Los Angeles, and became a film under the direction of actor Gregory Peck. The play has been performed hundreds of times around the world, and continues to be performed as a statement against war. When Berrigan and his co-defendants were to report to prison to begin their sentences in April 1970, both Berrigans went “underground” instead of turning themselves in. 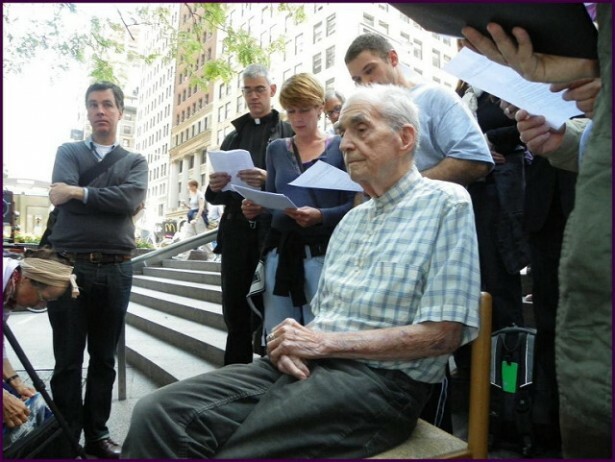 For four months, Daniel Berrigan traveled through the Northeast, speaking to the media, writing articles against the war, and occasionally appearing in public, much to the anger and frustration of J. Edgar Hoover and the F.B.I., which eventually tracked him down and arrested him on August 11, 1970, at the home of theologian William Stringfellow on Block Island, off the coast of Rhode Island. He was brought to the federal prison in Danbury, Connecticut, where he spent 18 months. On June 9, 1971, while having his teeth examined, he suffered a massive allergic reaction to a misfired novocaine injection and nearly died. On February 24, 1972, he was released. In “The Dark Night of Resistance,” a bestseller written during his months underground, Berrigan used St. John of the Cross’ “Dark Night of the Soul” as a guide for antiwar resisters. Harvard professor Robert Coles recorded a series of conversations with Berrigan during his months in hiding in Boston, later published as “The Geography of Faith.” “America is Hard to Find” was his collected letters and articles from underground and prison, and was published along with “Trial Poems” and “Prison Poems.” His prison diary, “Lights on in the House of the Dead,” another bestseller, recorded his Danbury experience. During the late 1960s and early 1970s, Berrigan attracted widespread media attention, was on the cover of Time magazine, and became the focus of intense national debate not only about the war, but how people of faith should oppose the war. He became one the most well-known priests in the world, and consistently called for the Church to abolish its just war theory and return to the nonviolence of Jesus as recorded in the Gospel. While he was underground, Berrigan wrote a widely-circulated open letter, first published in the Village Voice, to the Weathermen, the underground group of violent revolutionaries who blew up buildings in opposition to U.S. wars. “The death of a single human is too heavy a price to pay for the vindication of any principle, however sacred,” Berrigan wrote. Some credited his statement as a major reason for the break up of the Weather Underground. 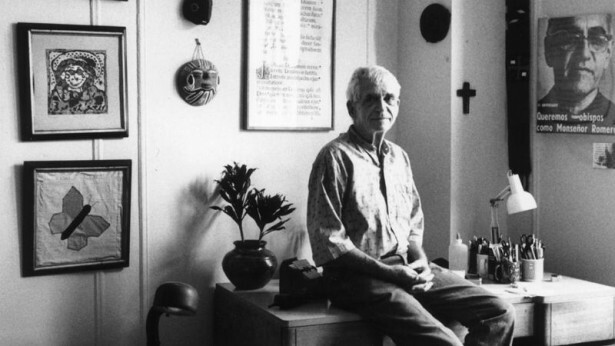 In 1973, after teaching at Union Theological Seminary and Fordham University, Berrigan joined the New York West Side Jesuit Community on Manhattan’s Upper West Side, where he lived with some 30 other Jesuits for the rest of his life. Over 100 plowshares anti-nuclear demonstrations have occurred since 1980, including in England, Ireland, Germany and Australia. In the mid-1980s, Berrigan began to publish a series of 20 scripture commentaries on the books of the Hebrew Bible. “And the Risen Bread: Selected Poems of Daniel Berrigan, 1957-1997,” which I edited, was published in 1996. Dan was my greatest friend and teacher, for over 35 years. We traveled the nation and the world together; went to jail together; and I edited five books of his writings. But all along I consider him one of the most important religious figures of the last century, right alongside Gandhi, Martin Luther King, Jr., Thomas Merton, Dorothy Day and his brother Philip. Dan and Phil inspired millions of people around the world to speak out against war and work for peace, and helped turn the Catholic church back to its Gospel roots of peace and nonviolence. I consider him not just a legendary peace activist, but one of the greatest saints and prophets of modern times. I will write more about him, but for now, I celebrate his extraordinary life, and invite everyone to ponder his great witness. Thank you, Dan. May we all take heart from your astonishing peacemaking life, and carry on the work to abolish war, poverty and nuclear weapons. A version of this story was published on Common Dreams. Always sad to see someone like this go. You’ll be remembered, Dan. Prayers for his family.